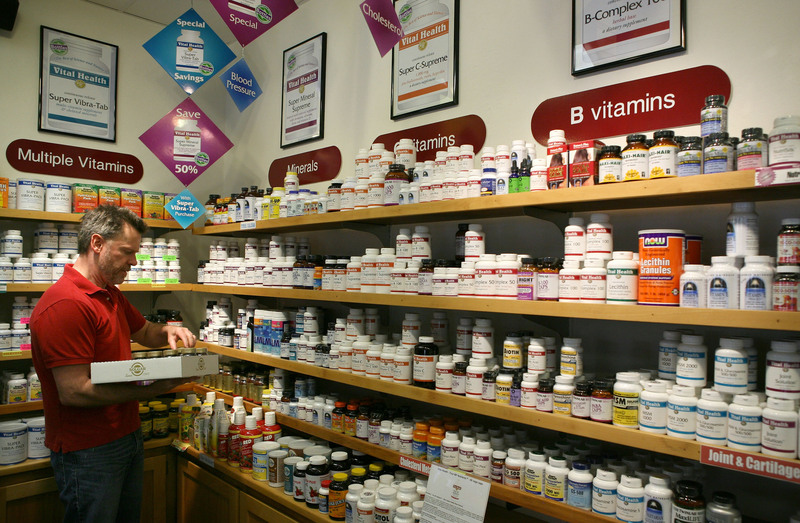 A 2013 Gallup poll found that about half of Americans regularly take a vitamin supplement. 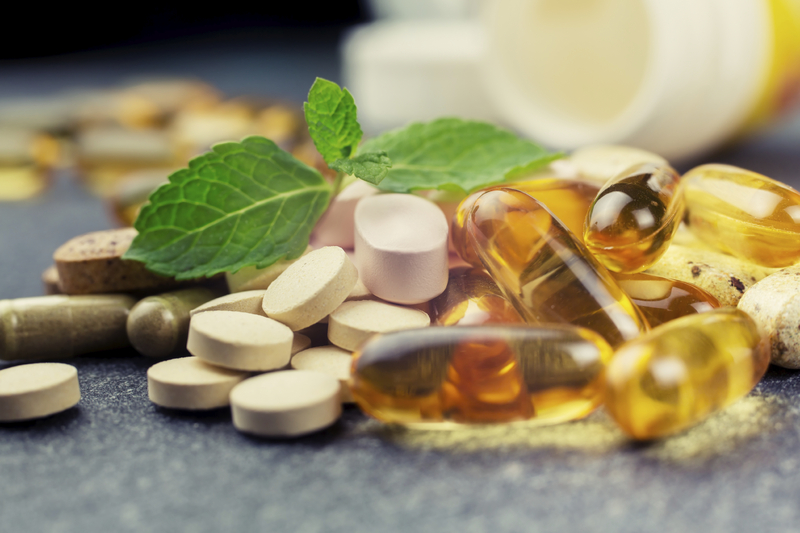 These supplement-swallowers tend to be older and better educated, yet many doctors believe a multivitamin is a waste of money. So what are vitamins, and are we in danger of not getting enough? The story starts with food. Ancient doctors knew nothing about vitamins, but they did know that when people strayed too far from a healthy diet, disease would result. Sailors and scurvy is a good example. Until the 1500s, scurvy was a rare disease. But as Spanish, British, and Dutch colonists took to the high seas, fresh food was often hard to come by, and many sailors succumbed to a scurvy epidemic. Crews would develop symptoms of bruising, bleeding, and tooth loss, and the condition often turned fatal. An estimated 2 million sailors died from scurvy until the late 1700s when they figured out that a supply of citrus fruit on board could prevent the scourge. Today we know that vitamin C cures scurvy, and citrus is just one of many foods that contain this vitamin. The concept of vitamins came in 1912 with Polish-born chemist Casimir Funk. He was inspired by a study that linked the rise in white-rice consumption to higher rates of beriberi—a disease characterized by low energy, weak muscles, confusion, and paralysis. Vitamin supplements are not some magic bullet. Previous research had found that eating brown rice cured beriberi symptoms, so Funk looked for a chemical compound in the rice bran responsible for the cure. He called this chemical “vital amine,” which is where we get the term “vitamin.” This rice- bran chemical was later classified as vitamin B1, also known as thiamin. The concept of vitamins was a revolution in the treatment of disease, as many common ills previously elusive to medicine were soon discovered to be simply nutritional deficiencies. In addition to macronutrients, such as protein, fats, and carbohydrates, we now know that good nutrition also includes micronutrients: vitamins and minerals. Vitamins do not provide calories or energy as do macronutrients, but they are required to turn food into energy. Some vitamins aid in enzymatic processes; others act as hormones and antioxidants. Others aid in tissue structure and repair. Since Funk, scientists have discovered a total of 13 essential vitamins: A, C, D, E, K, as well as the B family of vitamins (B1, or thiamine; B2, riboflavin; B3, niacin; B5, pantothenic acid; B6, pyridoxine; B7, biotin; B9, folate; and B12). Vitamins are found in all types of food: meat, vegetables, fruits, grains, and dairy. We need only a small amount of each one every day, but vitamins are essential for balanced body chemistry and general health maintenance. “Essential” is the key word for vitamins. During the 1920s and 1930s—the heyday of vitamin discovery—scientists found some compounds that looked like vitamins but that were later disqualified. Researchers have dismissed nearly 20 vitamin-like compounds because they turned out not to be essential. For example, check out the holes in the B family: B8, B10, and B11 didn’t make the cut, but one aspect of B4 called choline was officially recognized as an essential nutrient by the Institute of Medicine in 1998. According to Balz Frei, Ph.D., director of the Linus Pauling Institute at Oregon State University, which specializes in nutrition research, the definition of an essential nutrient is that our bodies not only need it to function properly, but it also provides something we can’t make on our own. One notable exception is vitamin D, which is required to make bones and teeth strong. Our bodies can synthesize vitamin D in our skin, so technically it doesn’t meet the definition. But vitamin D also happens to be a nutrient that many of us lack. “We do not synthesize adequate amounts of vitamin D in our skin because of a lack of sun exposure,” Frei said. “It is also very difficult to get the recommended daily amount of vitamin D from the diet. Ideally, all our micronutrient needs would come from the food we eat. But many diets fall far short of meeting daily requirements. 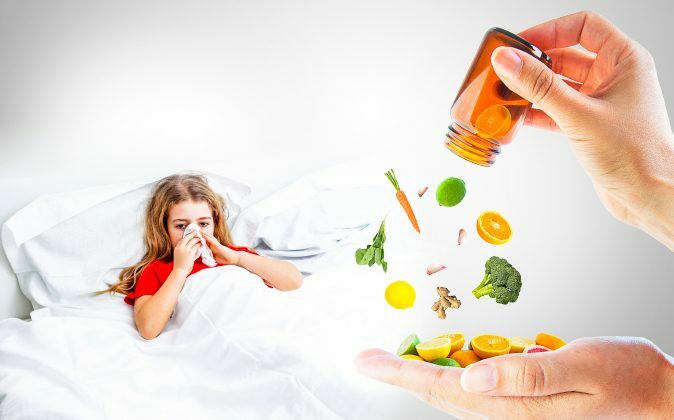 According to the World Health Organization, about 250 million preschool children worldwide suffer from vitamin A deficiency, contributing to blindness, severe opportunistic infection, and death. The diets of these children often lack fresh vegetables, which provide vitamin A precursors (such as beta carotene), as well as vitamin A-rich animal foods: fish and dairy. Older adults can often suffer from B12 deficiency because they don’t produce enough stomach acid and so have a hard time absorbing this vitamin in their diet. That’s one reason why doctors might give a B12 injection—it bypasses the stomach so more of the nutrient gets absorbed. Prescription and over-the-counter drugs can also inhibit B12 absorption. “B12 deficiency is also a very big issue that’s not very recognized for people who take antacids like Tums or proton pump inhibitors like Tagamet or Prilosec. These drugs alter the stomach pH, which causes the same problem of being unable to absorb B12 from diet,” Frei said. According to a recent study from the Linus Pauling Institute, people with metabolic syndrome require more vitamin E, but they get less because the condition prevents the vitamin from finding its way into tissues where it is most needed. Those who smoke, suffer from an infection, or exercise excessively may require extra vitamin C. There is even an increased dietary allowance for vitamin C for smokers because smoking increases oxidative stress, which means that vitamin C is used up more quickly. While everyone agrees that certain individuals may lack some essential micronutrients, there is great disagreement whether vitamin supplementation is necessary for the rest of us. Some doctors discourage the use of a daily vitamin supplement for otherwise healthy individuals because studies have shown that they do not prevent disease. But Frei says they’re looking at it the wrong way. “Medical doctors often view multivitamins as a pharmaceutical drug to treat disease. So when they do these clinical trials and they don’t find an effect, for example, of vitamin E supplementation on heart disease risk, they say, ‘Well, you don’t need vitamin E.’ But they’re not looking at it in the context of nutritional gaps,” he said. The underlying premise of dietary guidelines like the U.S. Department of Agriculture’s MyPlate program is to promote a diet that provides all your micronutrient needs. But Frei says that, despite the message, many Americans still eat a diet that’s calorie-rich and nutrient-poor. “If we ate an ideal diet as prescribed by the Dietary Guidelines for Americans—a Mediterranean-type diet, for example—then we would probably meet most but not all requirements for all vitamins and minerals. The biggest issue in the United States is that many people don’t eat vegetables, and that’s where a lot of your vitamins come from,” he said. According to Frei, everyone can use a multivitamin, multimineral supplement. He stresses that supplements are not a replacement for a healthy diet, but they can fill the nutritional holes that even the best diets leave behind. As vitamins were discovered and their abilities promoted to the public, the supplement market was born. To meet nutritional needs, supplement companies initially began making their products from vitamin-rich extracts of yeast, liver, and plants such as alfalfa, beets, and carrots. Starting in the 1930s, however, scientists started synthesizing vitamins in the lab. Once these micronutrients could be manufactured in their pure chemical form, supplements could be made for less money and in greater nutritional concentrations than a food extract. Frei says that while food, which also provides the health benefits of fiber, is the preferred vehicle for vitamin intake, synthetic vitamins are otherwise equal to food-based vitamins because they share the same molecular composition. However, some dispute this idea of equivalency. According to nutritionist, acupuncturist, and herbalist Michael Gaeta, there are significant differences between a vitamin that comes from food and one synthesized in a lab. One big difference is source. Synthetic vitamins may be made from starch, corn syrup, or even coal tar or petroleum derivatives. Studies have demonstrated that food-based and synthetic vitamins have virtually no difference in absorption rate. But Gaeta says there is a noticeable difference in effects between the two products—effects he has observed both personally and clinically. When I switched to a food-based supplement, I was initially pretty skeptical. But I had a personal experience that was amazing and impressive. “When I switched to a food-based supplement, I was initially pretty skeptical because, milligram-wise, there wasn’t much there. But I had a personal experience that was amazing and impressive. Synthetic vitamins are sometimes called nutraceuticals or isolates because they focus only on the target nutrient and ignore the many other phytochemicals that always accompany a vitamin found in nature. But Gaeta believes it’s the addition of these overlooked phytochemicals that makes food-based supplements superior to isolates. Frei has a different perspective. 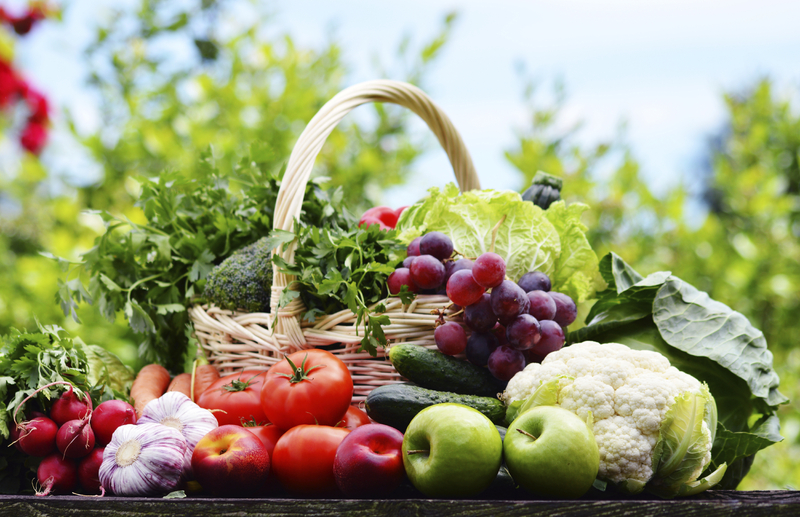 “Phytochemicals are not nutrients. They may have an effect, but we don’t need them for any specific biological function. They just happen to come along with our diet.” Frei said. There are many multivitamin products on the market. Frei advises consumers to choose one with a USP stamp, which means that it meets the requirements set by the U.S. Pharmacopeia. These products contain the full Daily Value (DV) or Recommended Daily Allowance (RDA) for each essential vitamin, which, according to Frei, is plenty for a daily dose. “It’s not necessary to get 10 times the RDA,” he said. 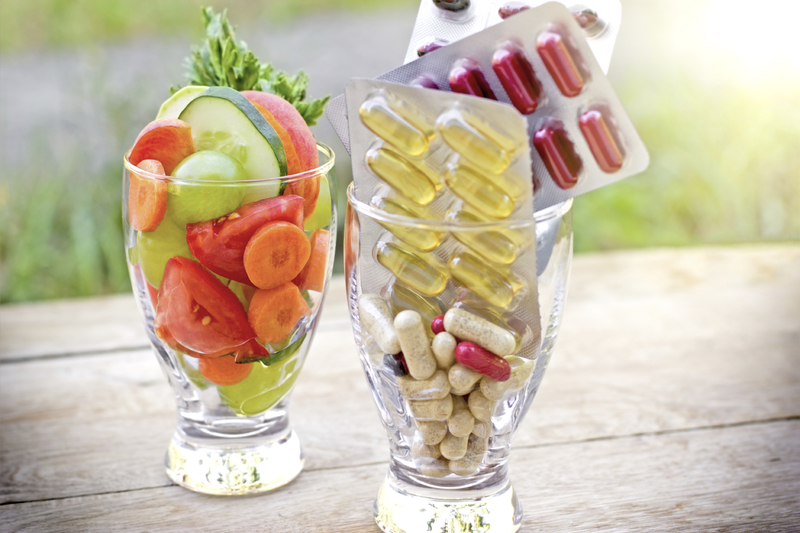 Vitamin Supplements – Are They Worth the Money? To choose a supplement based on Gaeta’s criteria, you have to look at the ingredients list. “If all you see is a bunch of vitamins with milligrams next to them and a percentage of Daily Value, that’s how you know it’s a synthetic vitamin,” he said. “However, if you read the label, and it says carrot, buckwheat, alfalfa, pea vine juice, mushroom, liver—these are foods. If those are the ingredients, you know that you’re dealing with a food concentrate,” Gaeta said. For those looking for something with the best of both worlds, some products combine synthetic isolates with food concentrates. But Gaeta says that much of the time the food-based component is negligible. “You have to look at the label and see how much is natural and how much is synthetic because the trend these days is to sprinkle in a little bit of food to make it look better,” Gaeta said. “At the bottom, it will say, ‘whole food concentrate’ or ‘whole food blend.’ They’ll list alfalfa, carrot, and kale, and you think, ‘Oh wow, that’s great. It has all these whole foods in it,’ but it’s just a small percentage of the entire vitamin tablet,” he said.